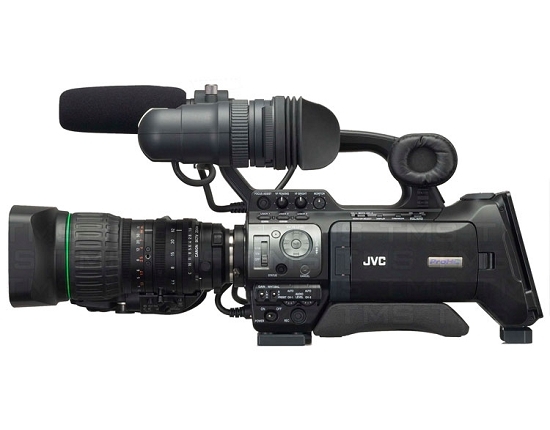 JVC's GY-HM750 brings a new level of features and performance to its popular compact shoulder product line. Based on an upgraded 3rd generation digital processing engine, the HM750 offers improved picture quality and the ability to record either HD or SD directly to economical SDHC solid state media. Dual memory card recording now permits recording on both cards simultaneously, or individually for virtually unlimited recording time. 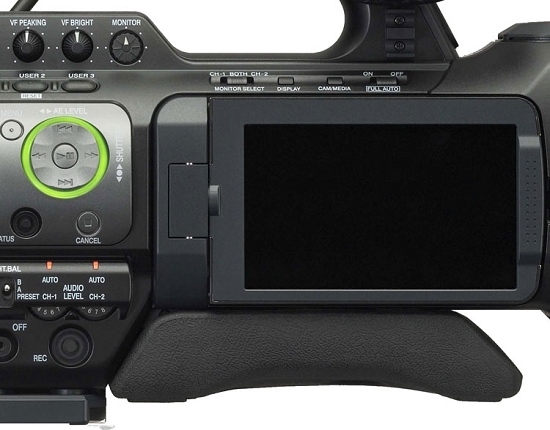 And like other ProHD camcorders, it records in the native file formats of popular professional editing systems for the world's fastest workflow. The GY-HM750 is now equipped with a 68-pin chassis connector that allows various modules such the KA-AS790 ASI adapter to be attached without external cabling--ideal for live microwave broadcasts. 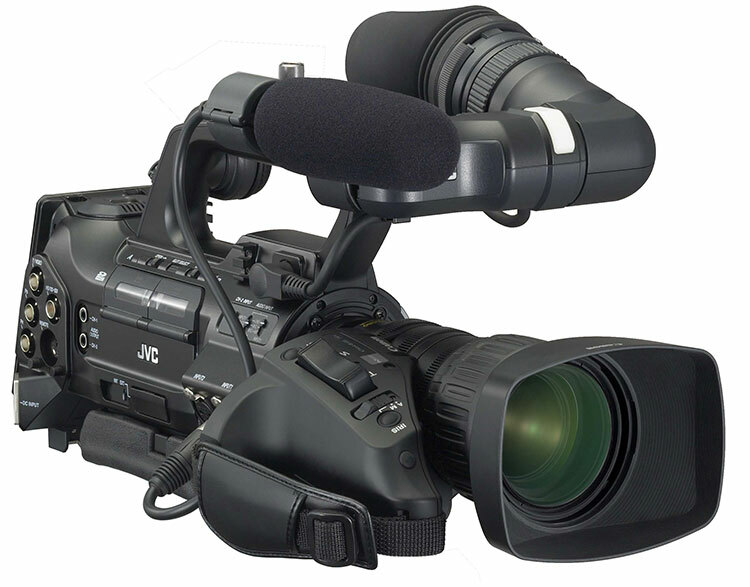 Whether you're shooting news, commercials, documentaries or music videos, the GY-HM750 is the ideal camcorder. 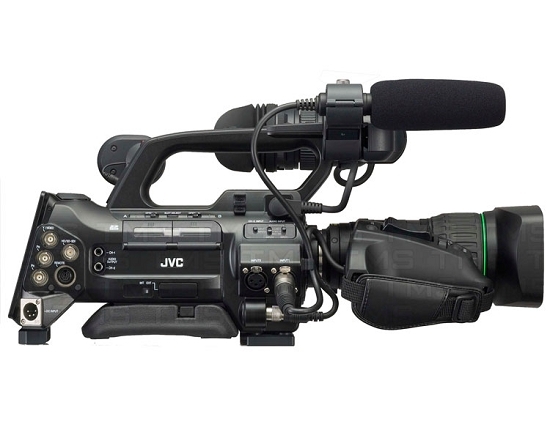 Drawing on its long experience of developing dedicated encoders for the broadcasting industry, JVC has equipped the GY-HM750U with a powerful MPEG2 encoder capable of compressing full 1920 x 1080 HD video at up to 35 Mbps. The result is the pristine picture quality that professional users demand, from a surprisingly compact and lightweight shoulder-mount camcorder. MPEG2 long GOP is the most widely accepted broadcast standard compression supported by all popular editing systems and broadcast servers. In the HQ mode, the encoder operates with a variable bit rate average of 35Mbps. The SP mode records at a constant bit rate of either 19.7Mbps or 25Mbps to ensure compatibility with a wide range of equipment. The GY-HM750 supports all major signal formats including 1920 x 1080, 1440 x 1080, 1280 x 720, and 720 x 480. When recording in the 720p 35Mbps mode, the camera can be set to record at a frame rate different than the playback rate. This capability makes it possible to record slow or fast motion when the recording is played back at 24p or 30p. Responding to the needs of the industry, the GY-HM750U, in addition to its capability as an HD recorder, offers Standard Definition recording for maximum flexibility. Recording in SD provides a time-saving alternative to down-conversion of HD material for SD broadcasts, which is still an industry standard in many countries worldwide. This feature offers a fundamental advantage for professionals with time-sensitive SD workflows. The GY-HM750L17 includes a detachable 17x4.5 Fujinon XT17sx45BRMK1 HD lens based on the superb optics found in more expensive HD lenses. Full GY-HM750U Specifications at pro.jvc.com.